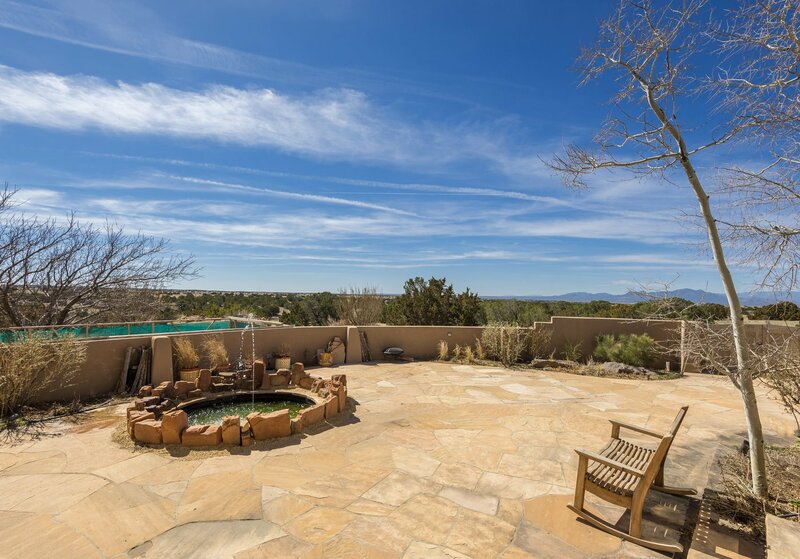 Enjoy gracious country living with 360-degree views. 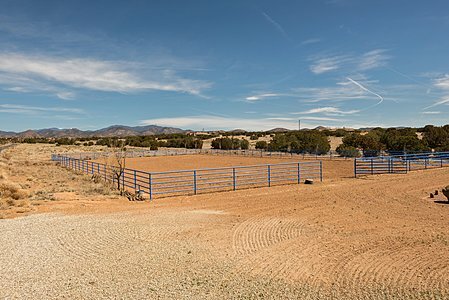 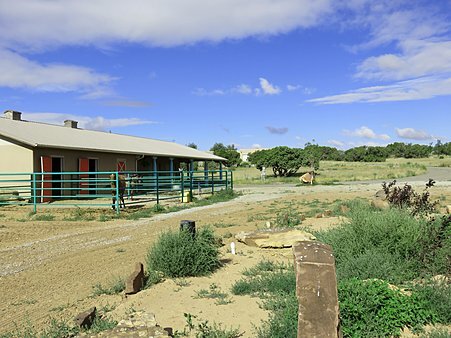 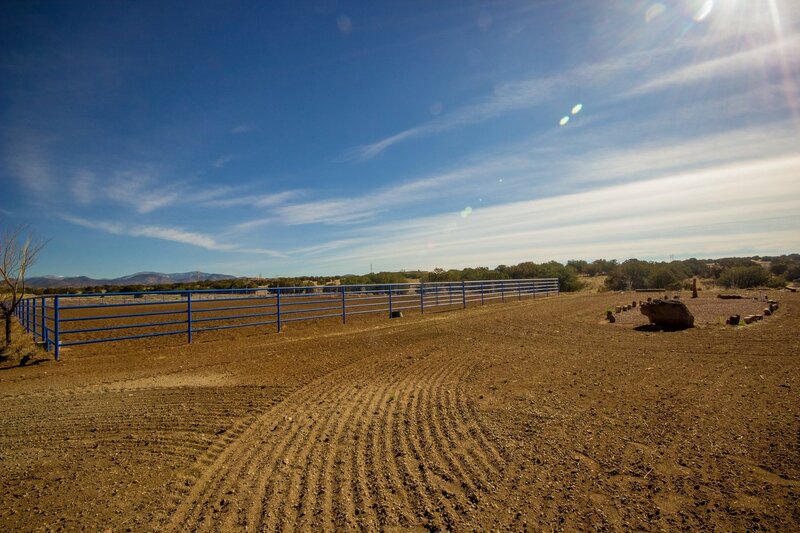 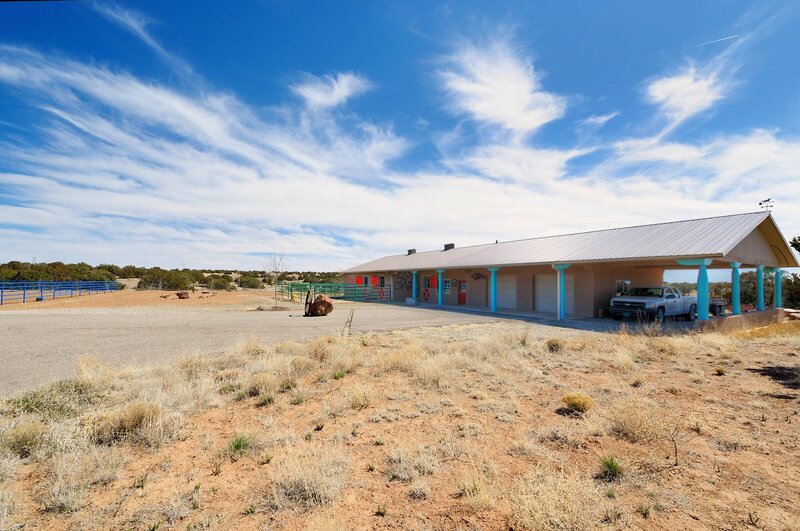 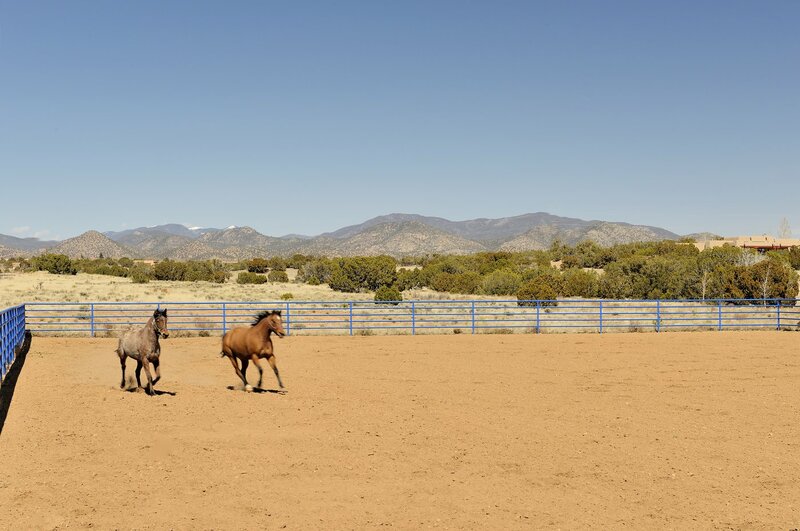 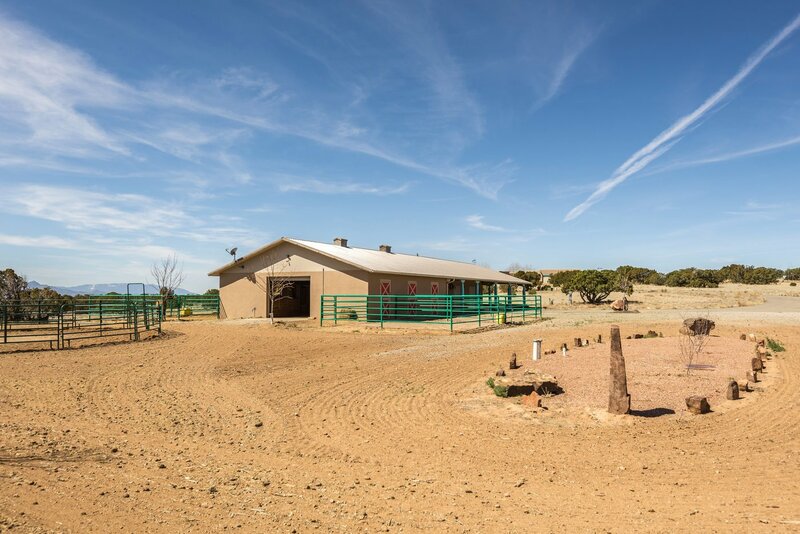 A 50-acre property with 5700+ sq ft 5 bedroom 5 bath home, a barn, and outdoor riding arena is paired with an adjacent 12.5 acre vacant lot, both with paved access. 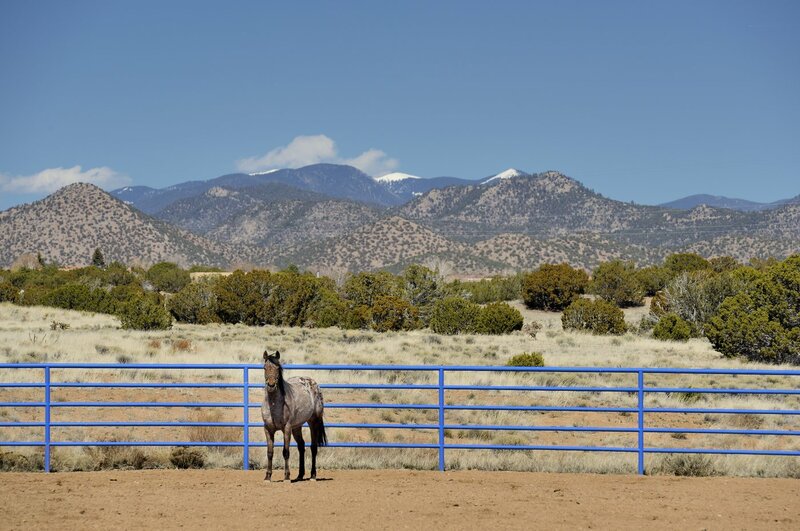 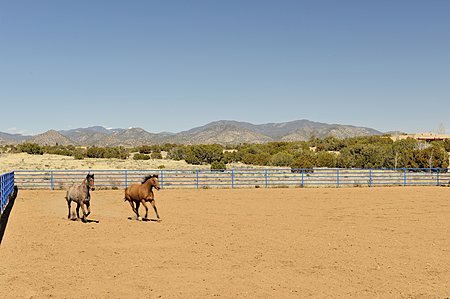 The vacant land with utilities in place and shared well offers options to expand riding or living facilities, or to partake in the open space. Wraparound floor-to-ceiling glass brings the outdoors into the living area with its high ceilings and dramatic fireplace. 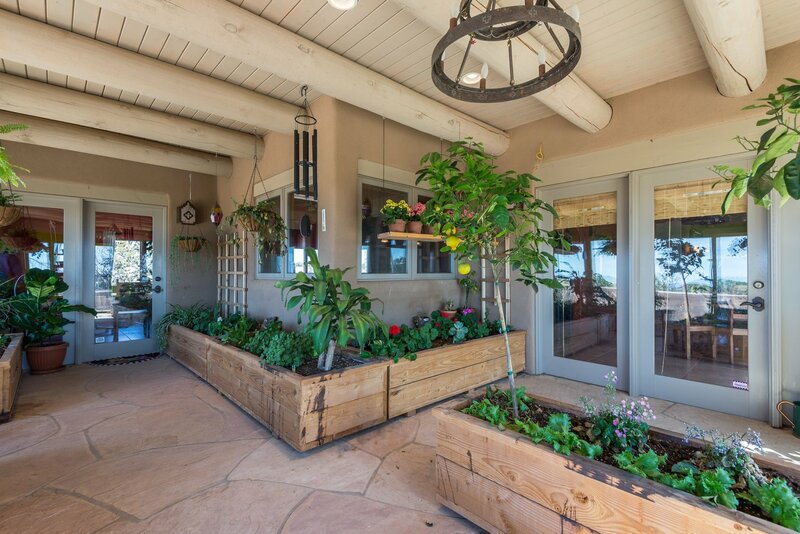 The sunny built-in greenhouse off the living area adds to the ambiance. 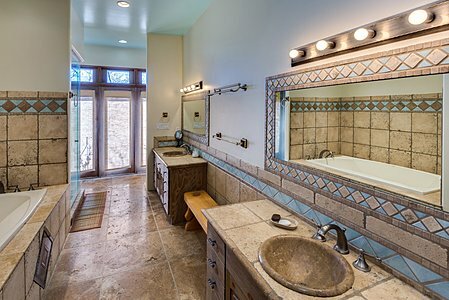 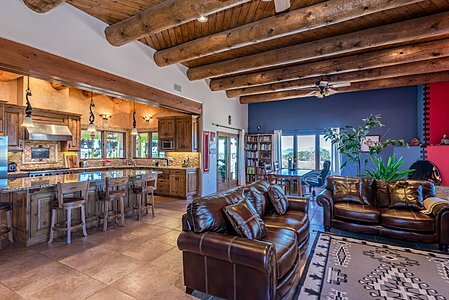 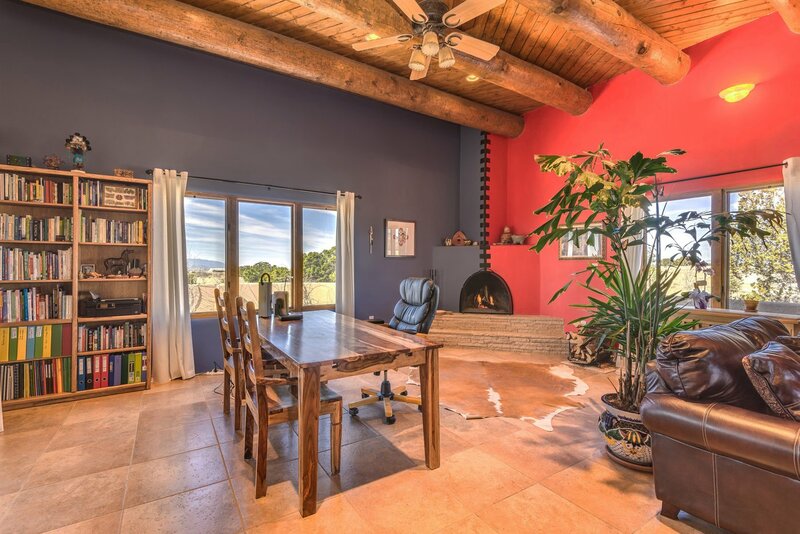 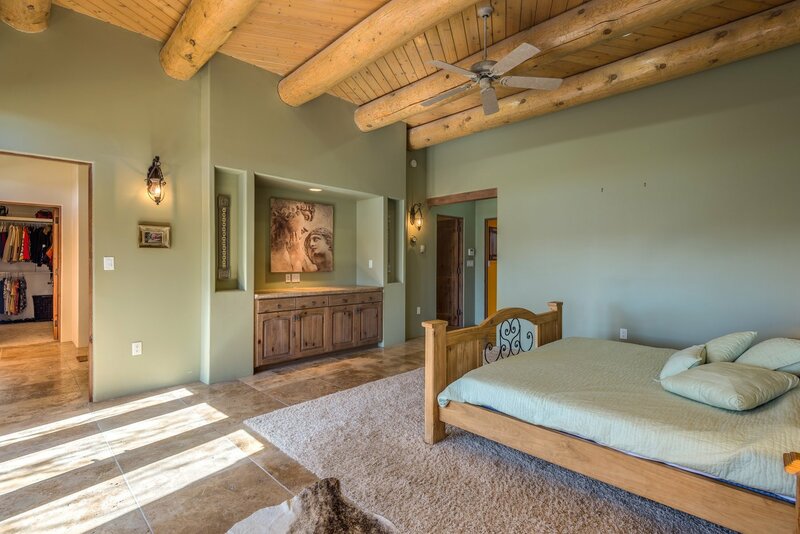 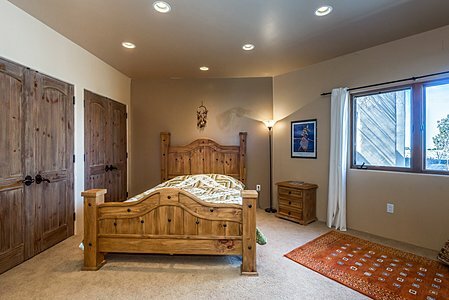 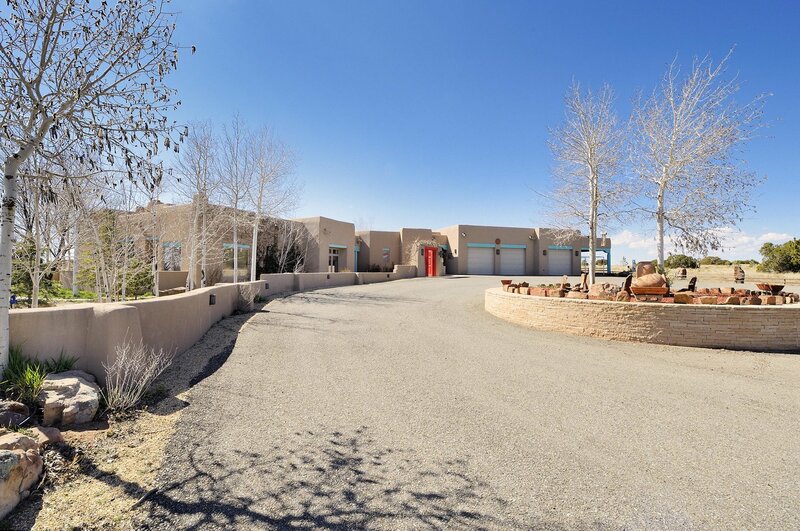 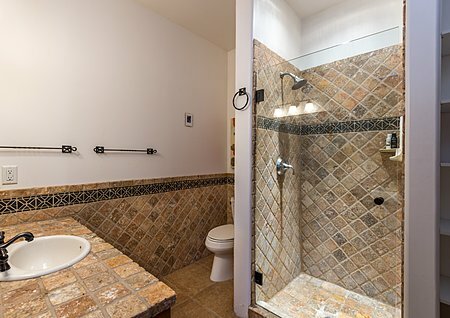 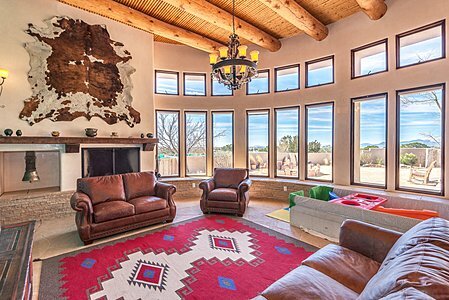 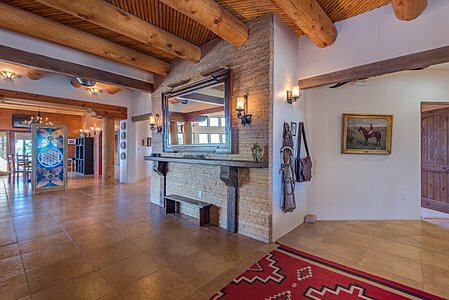 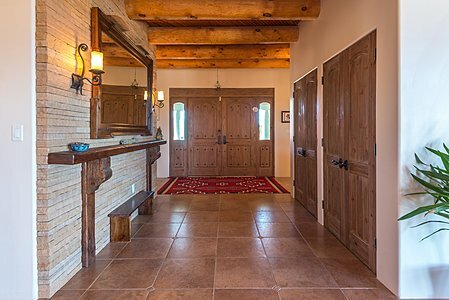 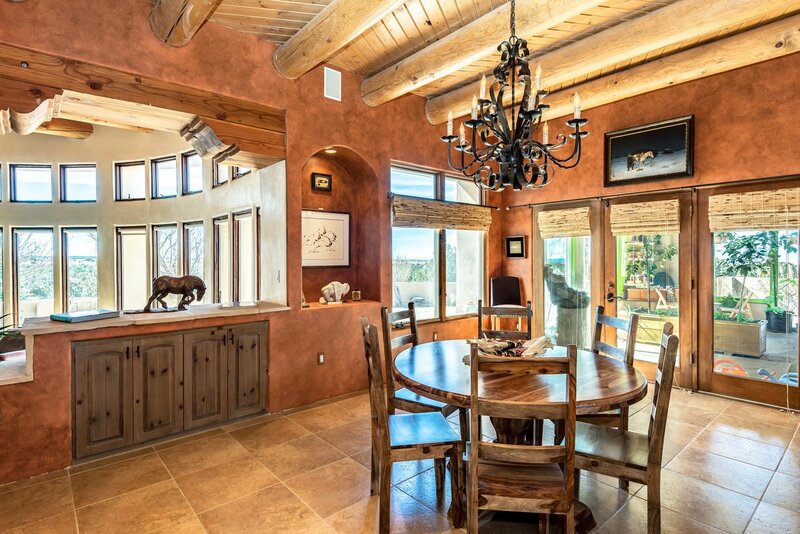 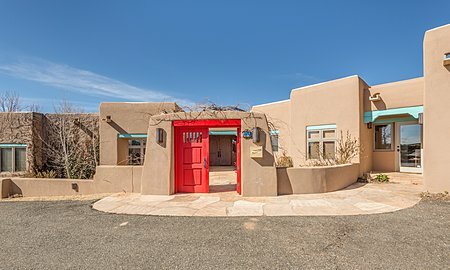 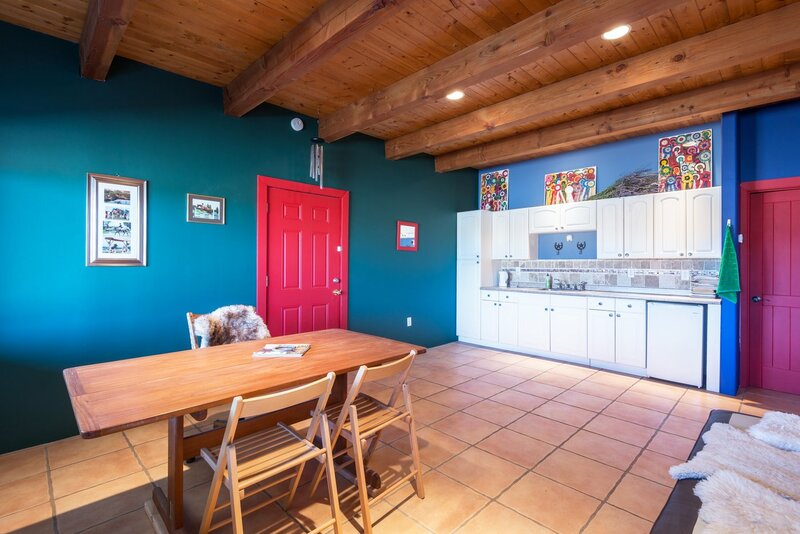 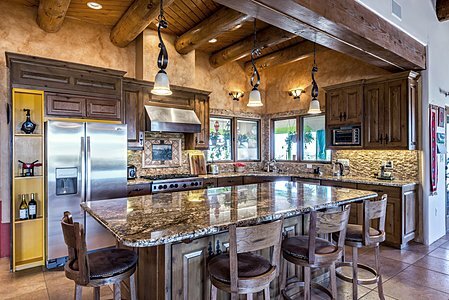 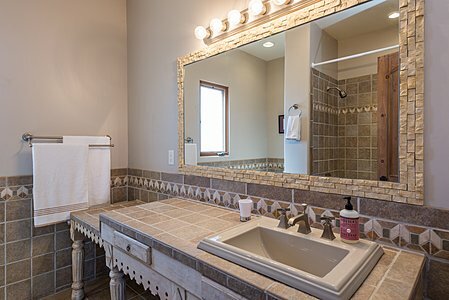 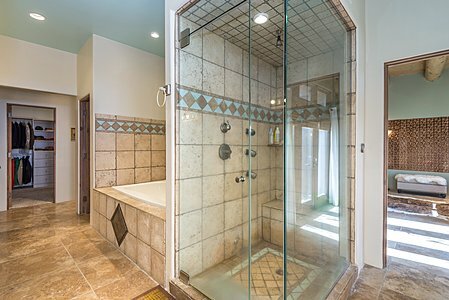 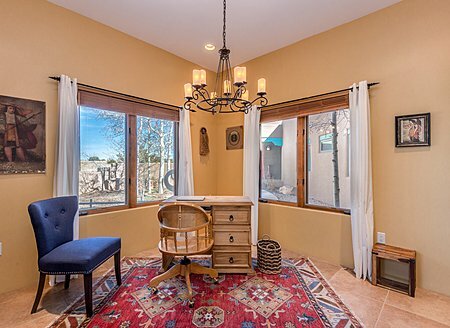 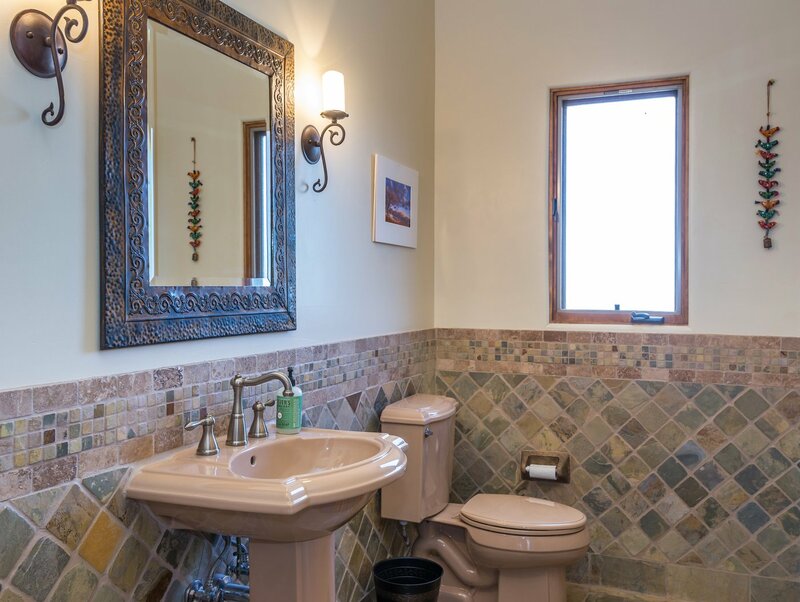 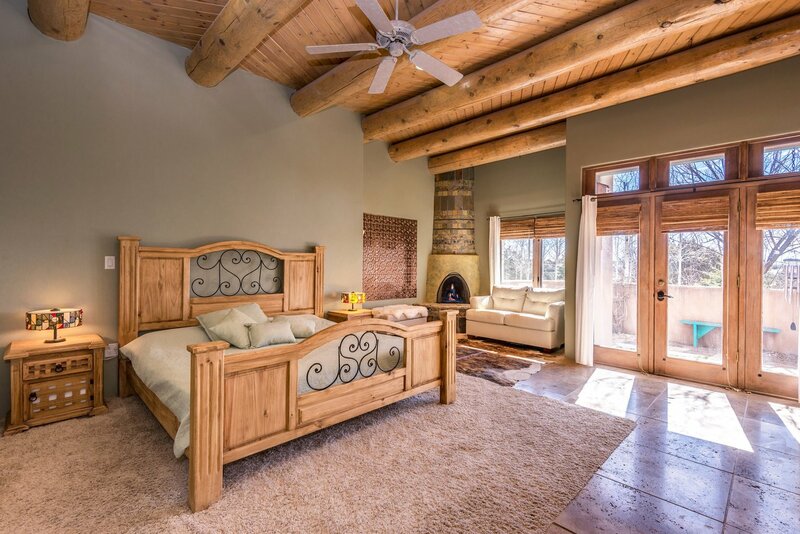 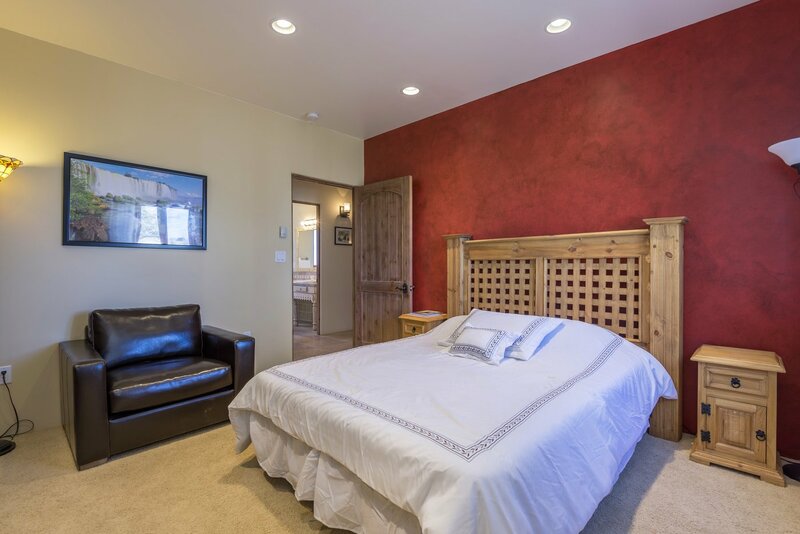 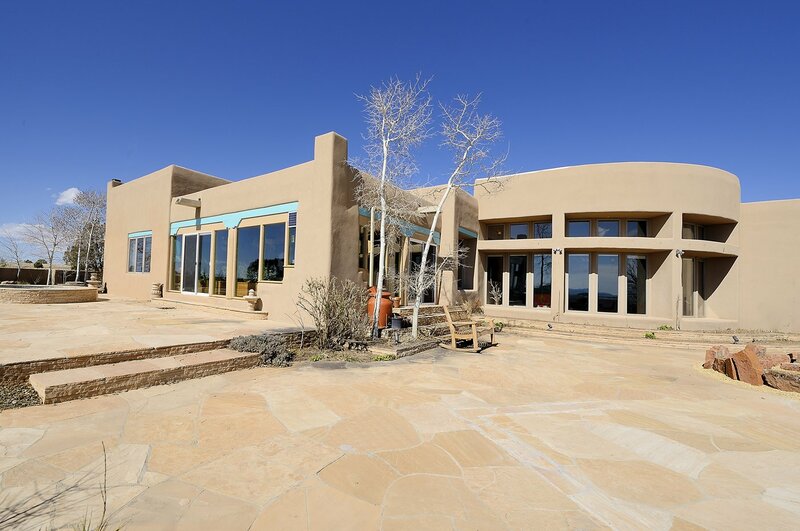 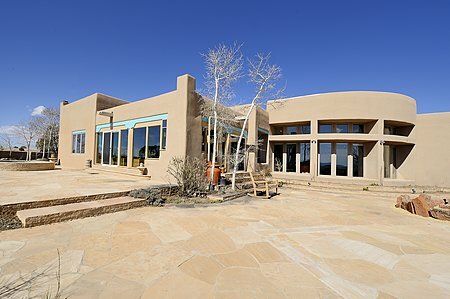 The vibrant interior features Anasazi stacked rock wall accents throughout and custom tile. 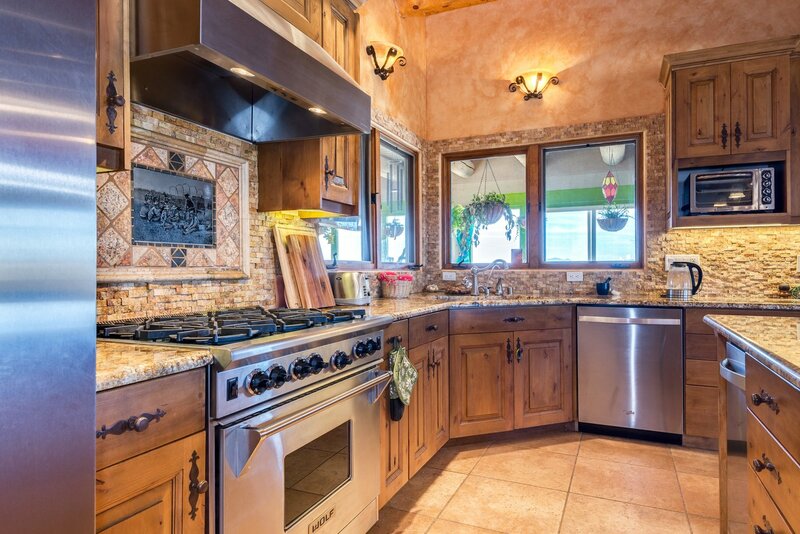 The gourmet kitchen has a 6-burner cooktop and large center island. 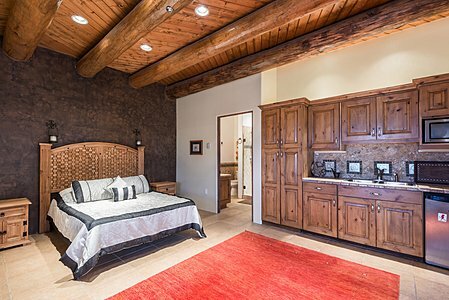 The spacious master suite with its own kiva fireplace and private patio boasts an impressive master bath with soaking tub, dual sinks and glass lined shower. 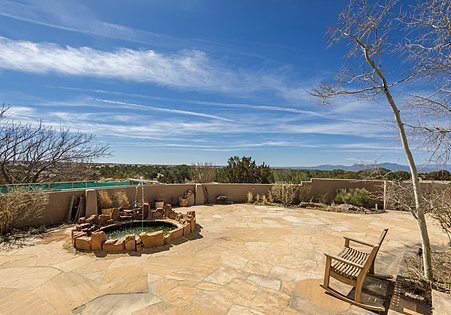 A lovely outdoor fountain on the flagstone patio enhances the tranquility of this high desert retreat. 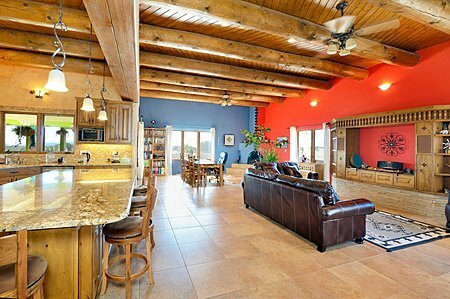 There's an attractive and warm casita with separate entrance for your guests, and a 5-car garage with 3 garage doors and a fitness room. 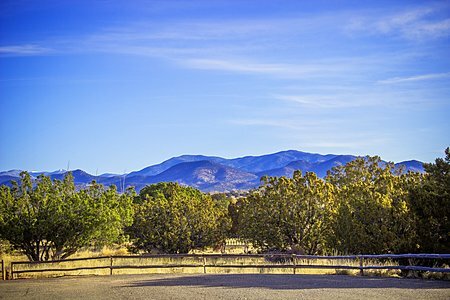 A private well provides water for the home, greenhouse, fruit orchard and native trees. 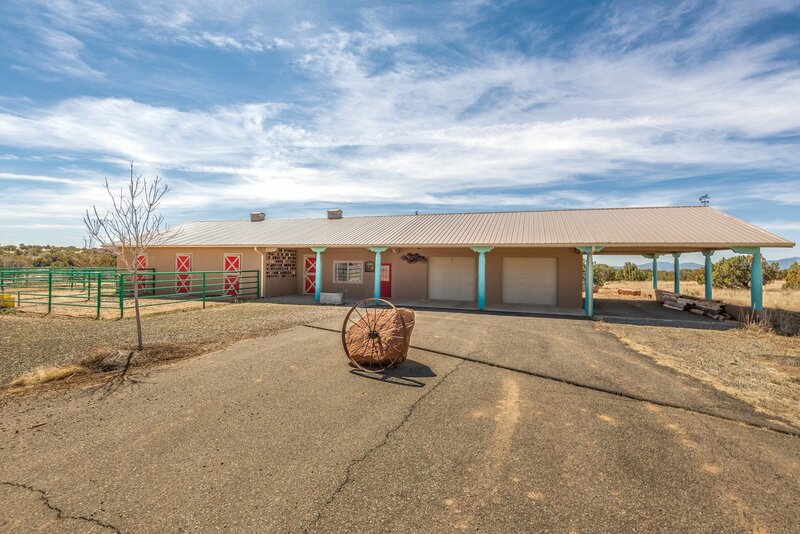 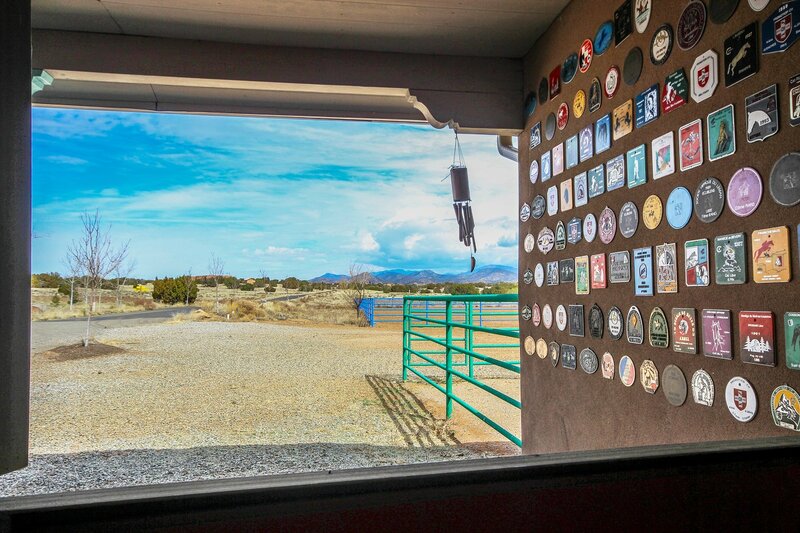 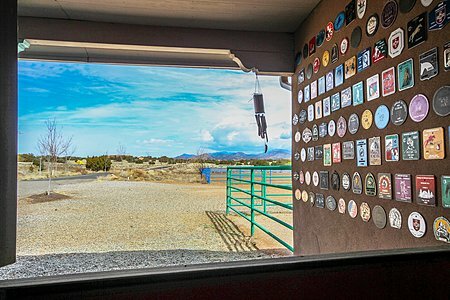 The 5-stall barn with attached horse pen includes a tack room, office and kitchenette. 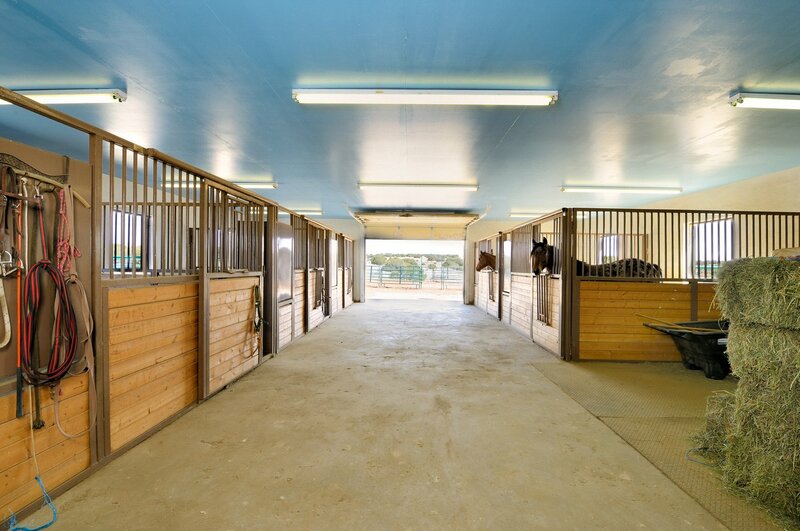 The barn also contains a 2 door garage and 2 space carport that could be used for equipment storage. 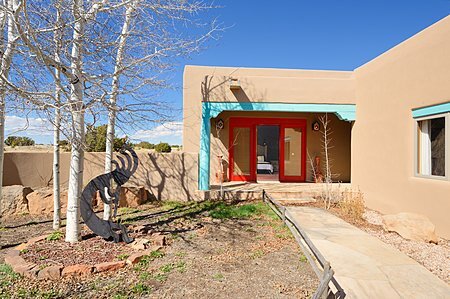 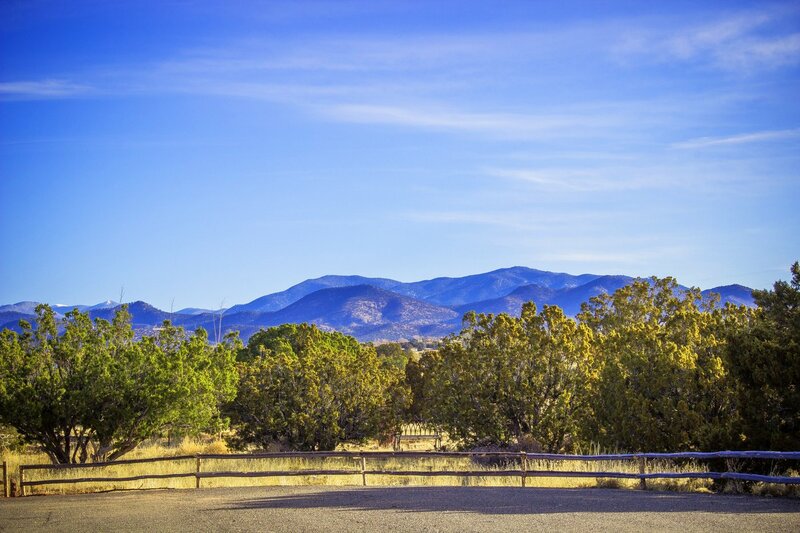 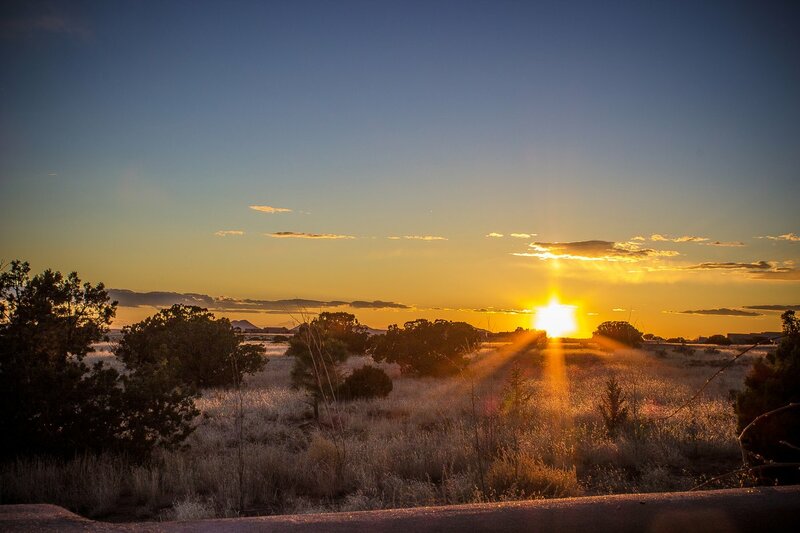 And it's just a short drive to the fine dining and cultural activities for which Santa Fe is renowned.